Over the last few years, my personal creative practice has developed to encompass two contrasting strands: a fascination with hiding messages within my work and a desire to reveal my inner stories giving my work a more personal focus. This creates an interesting tension within the work and presents a challenge to the viewer to ‘read’ the narratives contained within my pieces. I like to work with second hand clothes, particularly dresses, as inspiration and starting point as they already tell a story through their past ownership and through the worn out marks that they have acquired. My work attempts to use these dresses as a mouthpiece for the personal stories I want to tell about myself, to reveal something in plain view and subvert the everyday object. 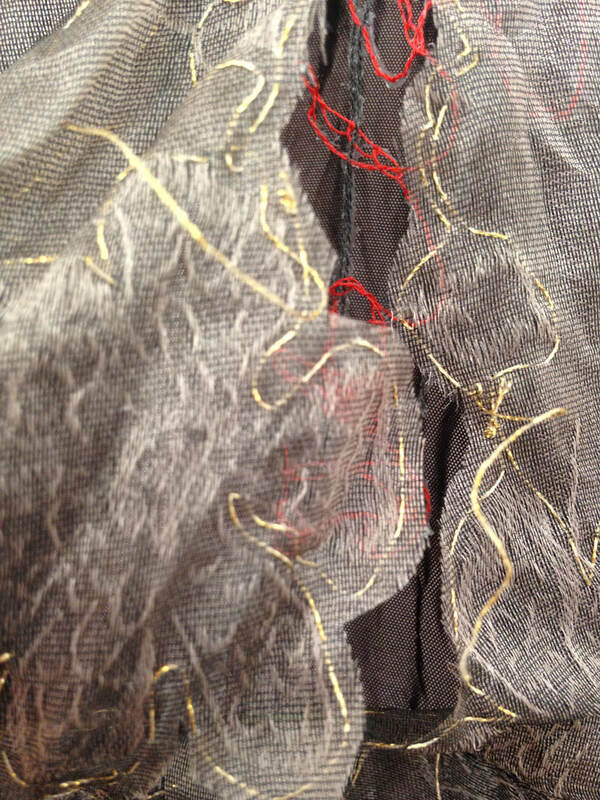 I also feel a deep sense of nostalgia in my physical working, in particular using 'old fashioned' techniques such as hand sewing and express this through my pieces. I favour hand stitch and print to embellish my fabric pieces, but use film and photography to document my working process and to help viewers to 'decipher' the narratives within each piece.